Ruggles Orchard is a family owned and entirely family-run affair. We grow forty varieties of apples on fifteen acres of land. We grow about a dozen varieties of peaches on ten acres. We also grow sweet and sour cherries which you can pick at the orchard (please call around June 1 to ascertain picking dates for cherries). We grow about an acre of pears and plums. 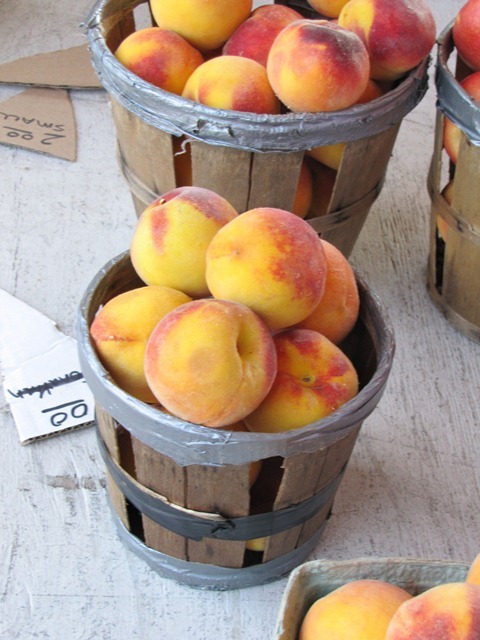 Our family picks all the peaches, pears, plums and apples, but you can purchase them at the orchard (call for appointment) or at the following farmer’s markets: Downtown Cumberland (Thursday), Country Club Mall-Lavale (Tuesday), Frostburg (Friday), and the Mountain Fresh Market in Oakland (Wed and Sat). We are located fifteen miles NE of Romney, WV or twelve miles north of Springfield, WV. Coming from Points, WV into Levels, make a left at the stop sign on French’s Station Rd. and go one mile to Ruggles Orchard Dr on the left. Our prices are very competitive. If you have any questions, feel free to call. Contact persons: Kenneth or Paula Ruggles. Please leave a message on the answering machine. We will call you back ASAP.